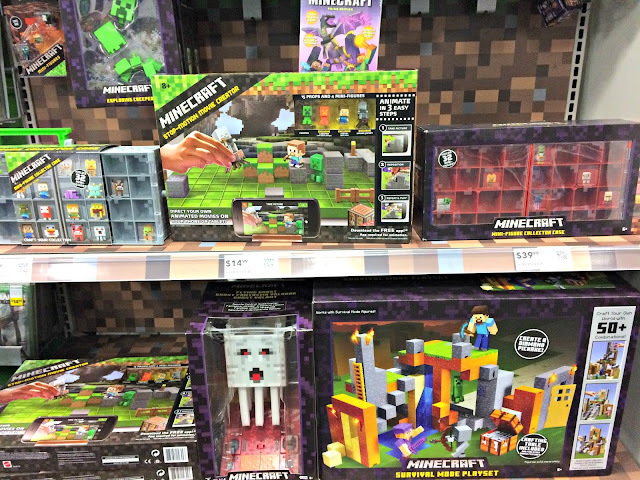 A GEEK DADDY: Best Buy has Minecraft games & toys you're looking for! Best Buy has Minecraft games & toys you're looking for! 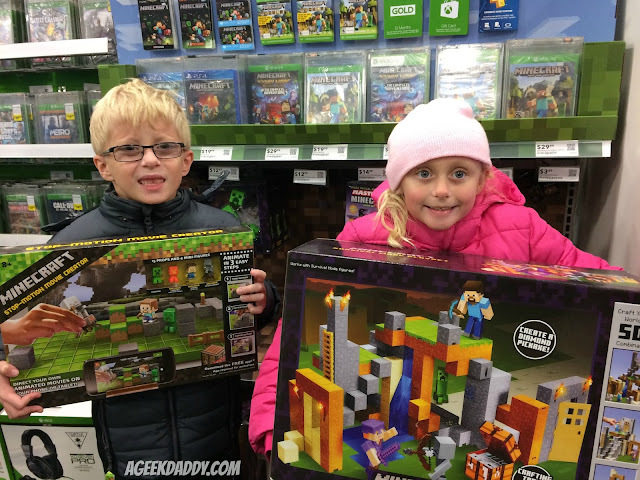 From talking to the other parents at my children's elementary school while we congregate during the daily drop-offs and pick-ups, it seems that Minecraft video games and toys are the hot items that the girls and boys have been asking Santa for this year. 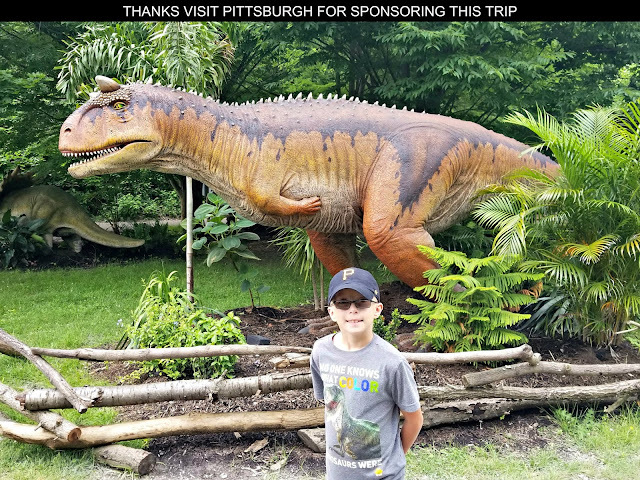 Kids love this game because it allows them to create personalized virtual worlds that are only limited by a child's own creativity. Players start off placed in a randomly generated land without any supplies and must collect materials from the world around them to craft tools and structures necessary to survive in a wilderness that has hungry monsters lurking around at night. As additional resources are obtained more complex building blocks can be constructed allowing players to shape the world within their game creating almost anything they can imagine. The great thing about Minecraft is that it isn't a mindless action adventure, but rather stimulates kids to think constructively and problem solve while they play it. 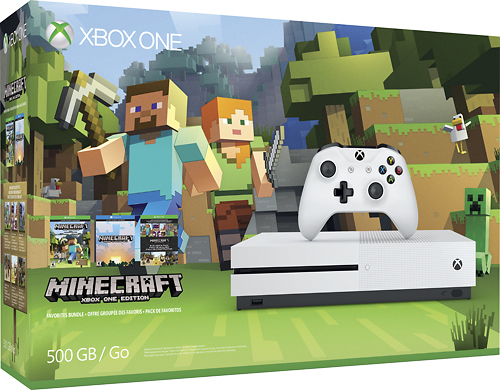 Xbox One S Minecraft Favorites Bundle (500GB) features everything you need to build, survive, and explore! Get full game downloads of Minecraft for Xbox One and Windows 10, plus thirteen of the most popular content add-on packs, including Halo Mash-up and Festive Mash-up. 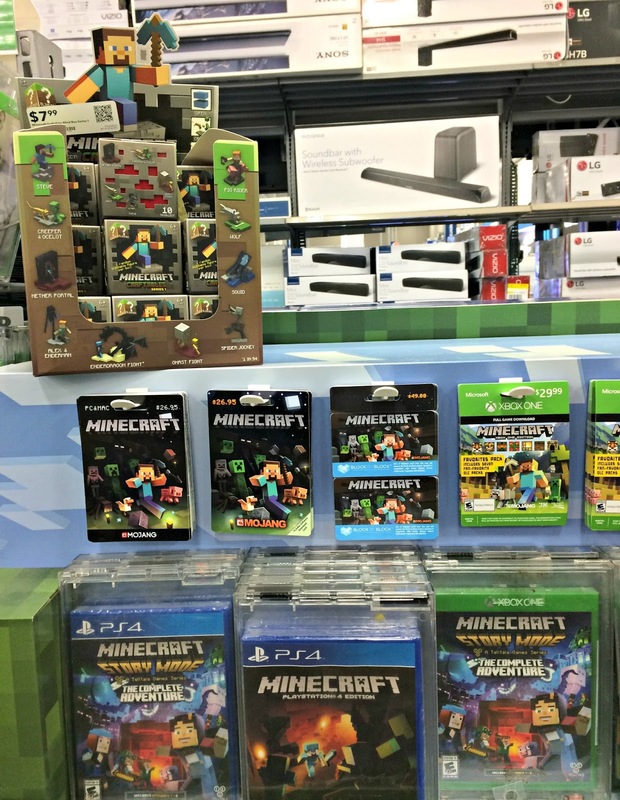 Plus craft new Minecraft worlds together with friends on the advanced Xbox Live multiplayer network. Mattel mini figures have authentic features and accessories modeling characters with in-game accuracy so that you can recreate your favorite video game scenes with these toys. 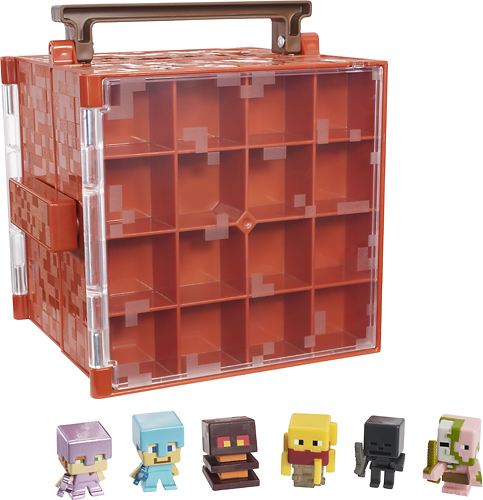 Minecraft mini figures collectors case provides a great way to organize and display Mattel mini figures. Flip it over to discover a Minecraft world layout complete with a playtime portal that will entertain creative minds. 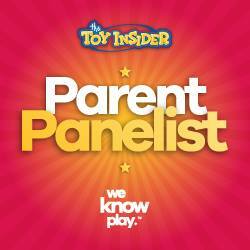 This lightweight case also includes six starter characters and can transport up to 32 figures. 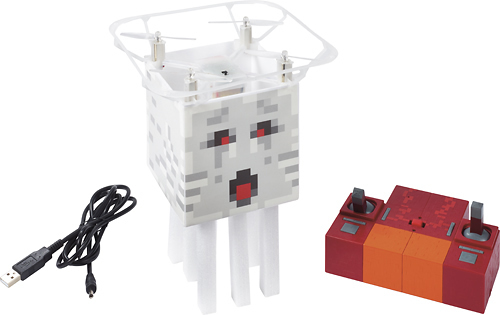 Minecraft Flying Ghast Quadcopter lets you bring a favorite nether-dwelling creature to life. Fly the Ghast in all directions through the air just like in the video game using the included remote control. If you are like me and have a habit of crashing these types of toys don't worry because this Minecraft Flying Ghast also has an automatic landing feature to safely get the toy back on the ground.